Twenty-seven companies participated in the AIT Career Fair organized on 28 March 2018, with 11 of them participating for the first time. 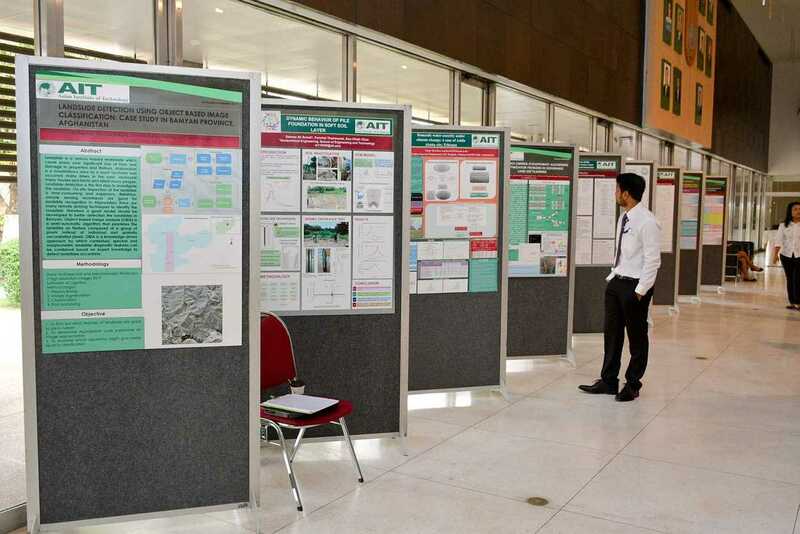 The bi-annual event, which was held at the AIT Conference Center, also saw the simultaneous holding of a student research exhibition. AIT’s Vice President for Academic Affairs, Prof. Sivanappan Kumar remarked that the Career Fair provides an opportunity to companies to explore the international diversity of AIT students. “AIT is a special place, where we have students from all over the world,” Prof. Kumar said. He mentioned that participating organizations can also explore the research work at AIT and interact with faculty members at AIT to examine possibilities of working together. Ms.Joan Carla C. Gonzales welcomed the participants on behalf of the Career Center, and thanked all participants. Mr. Surendra Shrestha, Vice President for Development, presented tokens of appreciation to all participants. 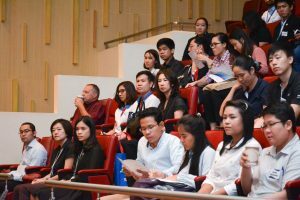 Participating companies included Amata Corporation PCL, Asian Engineering Consultants (AEC) Corp. Ltd. Bouygues-Thai Ltd., Codium Co. Ltd. Dee Staff Recruitment Co. Ltd. Erawan Sugar Co. Ltd. Eurofins Agroscience Services Co (Thailand) Ltd. Goldwind International (Thailand) Co. Ltd. Krungthai-AXA Life Insurance PCL Kasikorn Bank, King Mongkut's University of Technology Thonburi (KMUTT) Meinhardt Thailand Co. Ltd. Panya Consultants Co. Ltd, Poem Global Limited, Project Planning Services PCL, REI Software Co. Ltd. Regional Integrated Multi-Hazard Early Warning System for Africa and Asia (RIMES), Risland (Thailand) Co. Ltd., Schneider Electric SEC Consult Thailand Co. Ltd.Thai Samsung Electronics Co. Ltd. Thermax Ltd., Siam Commercial Bank PCL Thai Union Group PCL andWHA Corp. Public Company Limited. 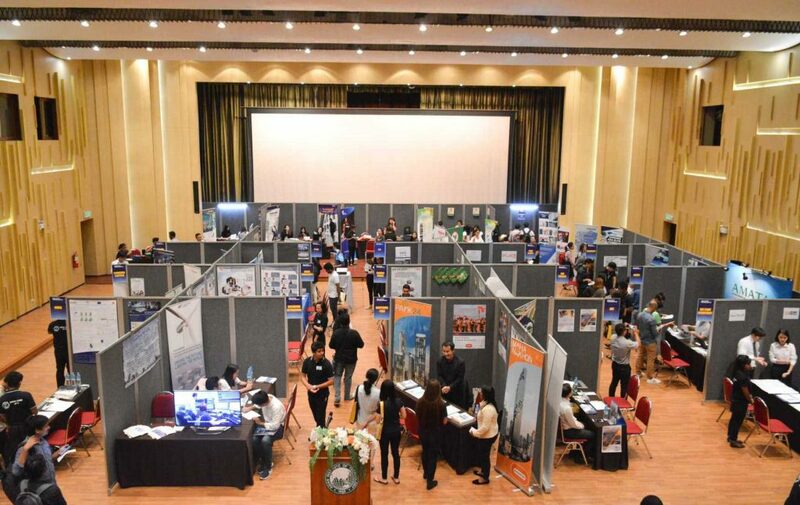 An overview of company exhibits at the AIT Career Fair. Student Research Exhibition at the AIT Career Fair.